Static Power provides Engineering Design Consultancy and Project Support Services to companies, big and small, across a range of industries. 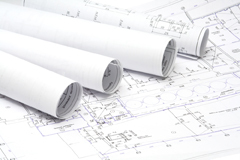 Our engineering design consultancy services are tailored to your specific needs. Static Power engineers provide all drawings in electronic format using the latest available version of AutoCAD. Whether you need a design consultant to help you with a single engineering drawing or an entire engineering design project we are there to satisfy your needs. When you need engineering design or drafting capability, we can provide the service with the appropriate engineering skill to work with you either on site, at your premises or wherever is most convenient for you.